Personally, I’ve been using TrainerRoad for the past year on iOS and loving it. So, I guess it’s fair if Android users are finally granted access to the training software. Now that TrainerRoad is available for Mac, PC, iOS, and Android devices, it’s the widest available training app. At Interbike, I recently spoke to Jonathan Lee (: @leejonathan_) of TrainerRoad and got the full rundown on the launch and checked out the demo. • Complete power-based workouts from your Android device. • Train without a power meter with VirtualPower®. • Control your smart trainer with PowerMatch. • Connect training devices via Bluetooth Smart, ANT+ and ANT+ FE-C. 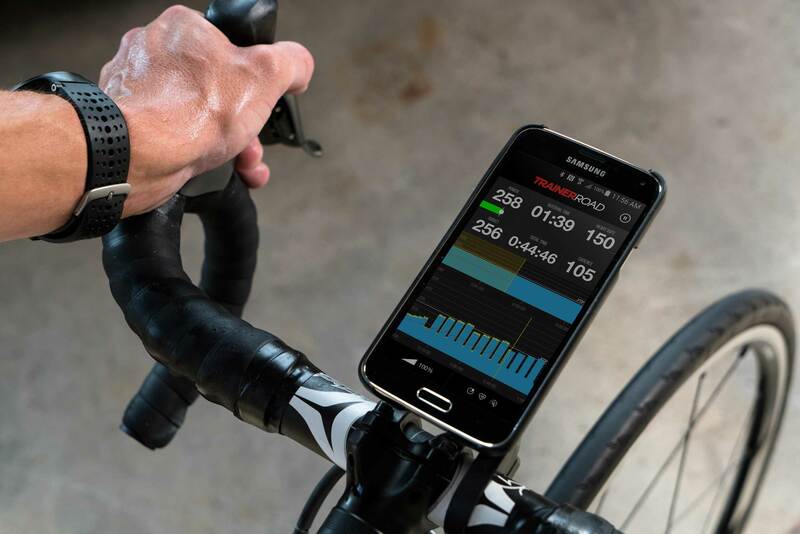 The official Android app will fully support all of TrainerRoad’s core training features. • Find and follow training plans from your Android device. n Filter workouts by power zone, duration and intensity. • Filter workouts by power zone, duration and intensity. • Visualize your training progress and more. Visit TrainerRoad.com for more details.